The four students were: Armin Rahmani, Samim Pezeshki, Navid Khanjani and Hesam Mithaqi. They went to the office of Hujjatu’l-Islam Rahbar, who represents Isfahan in the national parliament. Prior to this meeting, the Baha’i students had persistently visited various responsible agencies, such as the Organization for Assessment and Evaluation (which administers the national college exam and allows successful candidates to enter universities) and the Science Ministry. But all these efforts had failed to receive a reasonable response from governmental offices as to why the students had been denied permission to attend college, even though they had met all the prerequisites. Hujjatu’l-Islam Rahbar is a member of the Parliamentary Commission on Education as well as the temporary Friday prayer leader in Isfahan, and had shown sympathy toward the students’ plight in the past. For this reason, the Baha’i students had decided to approach his office in order to get a better understanding of how they could fulfill their right to an education. 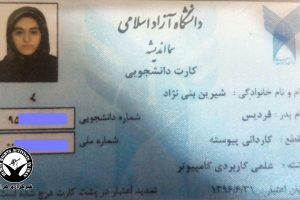 However, upon arrival at the office, a plainclothes agent by the name of Qandi, who appeared to be a member of the dreaded security agency, announced that Mr. Rahbar has received instructions not to receive the Baha’i students nor to discuss their complaint. At that point, other security officers demanded that the Baha’i students leave the office. However, the Baha’i students insisted that they wished to speak with Mr. Rahbar in order to ask him to raise this issue in Parliament, since the matter of denying Baha’is their right to higher education is clearly against the nation’s Constitution. At this point, the security officers escalated the situation and called in armed guards and other plainclothes officers with automatic weapons. They began to rough up the students, closed all doors and windows and removed other observers from the area. They lined up the four students and began to deal with them harshly and in a threatening way, trying to intimidate them into being quiet and leaving. At this time, it so happened that Mr. Rahbar arrived and announced that while he was unable to assist the students in their plea for access to universities – as their grades and educational backgrounds amply qualified them – he offered to hold back the security men and their guns, if the students left quietly. 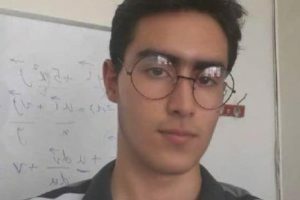 Faced with this situation, the four Baha’i students left and they continue to be deprived of their Constitutional right to university education, despite their brilliant academic credentials. Iranian citizens are threatened by their own government’s recent moves toward instituting a penal code that for the first time would legally enshrine the death penalty for so-called apostasy. If the proposed penal code, which is nearing final passage, is approved as expected in parliament, members of many religious minority communities could be subject to death sentences. The United States and other governments that value freedom of thought, conscience, and religion or belief must speak out forcefully against the apostasy provision in the new penal code making its way through the Iranian Parliament. Christians, Baha’is, and even some Muslims have been subject to arbitrary arrest and are threatened. The Iranian government this month leveled apostasy charges against two reported Christians, Mahmoud Matin and Arash Basirat. They were among more than a dozen reported Christian converts who were detained in the southern city of Shiraz in May; the others have been released but informed that legal cases remain pending against them. Five more Christians were arrested in August, including Ramtin Soodmand, the son of Assemblies of God pastor Hossein Soodmand, who was executed in 1990. Iranian authorities consider Baha’is to be apostates because of their claim to a religious revelation subsequent to that of the Prophet Mohammed, despite the fact that Baha’is do not consider themselves Muslim. Since 1979, Iranian authorities have killed more than 200 Baha’i leaders, thousands have been arrested and imprisoned, and more than 10,000 have been dismissed from government and university jobs. Seven Baha’i leaders, who were arrested in March and May, remain in Evin prison in Tehran without access to legal counsel. No formal charges have been made against them, although media reports recently quoted an Iranian official as saying that the Baha’is had “confessed” to operating an “illegal” organization with ties to Israel and other countries. Such baseless claims have been made repeatedly in the past by Iranian authorities. At present, more than 20 Baha’is currently are in prison in Iran on account of their religious identity. The year 2008 has seen other disturbing evidence of the Iranian government’s utter failure to abide by international standards. 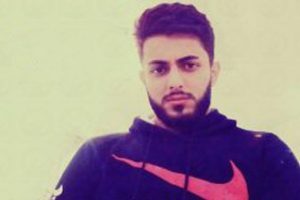 While the government has announced its suspension of stoning to death-although this is not the first time such claims have been made-Iran has continued the brutal execution of minors, with reliable reports that at least six have been executed this year, two of them just last month. Four women leaders of the One Million Signatures campaign, which is dedicated to ending discrimination against women in the application of Islamic law in Iran, have been jailed for six months for allegedly “spreading propaganda” against Iran’s Islamic system by advocating for its reform. In recent years, hundreds of prominent Muslim activists and dissidents from among the Shi‘a majority advocating political reform have been sentenced to lengthy prison terms on charges of seeking to overthrow the Islamic system in Iran; others have been arrested and detained for alleged blasphemy and criticizing the nature of the Islamic regime. Reformists and journalists are regularly tried under current press laws and the Penal Code on charges of “insulting Islam,” criticizing the Islamic Republic, and publishing materials that deviate from Islamic standards. The U.S. Commission on International Religious Freedom calls on the U.S. government and its allies to pressure Tehran to end punishments for so-called apostasy, including the death penalty, release religious prisoners, and end its practice of systematically marginalizing its religious minorities. Further, the Commission urges the U.S. government to continue to speak out vigorously about such cases and on behalf of others in Iran who have been imprisoned solely because of their religion or belief, and encourage other foreign governments to engage Iran on religious freedom and human rights issues. For a transcript of the Commission’s February 2008 hearing on Iran, see http://www.uscirf.gov/index.php?option=com_content&task=view&id=2036&Itemid=36. What a great initiative!!! thank you sooo much!! !